The primary care physicians of Belmont Medical Associates are committed to preventive healthcare and working with Medicare to provide all our Medicare beneficiaries the Annual Wellness Visit. The Annual Wellness Visit focuses on preventive screenings and wellness counseling. It is NOT meant to be a conventional hands on examination. We believe that these annual visits will give us the best picture of your current health status and help us make sure you are up to date on your health screenings and immunizations. You pay nothing for the “Welcome to Medicare” preventive visit or the yearly “Wellness” visit if your doctor or other qualified health care provider accepts assignment. The Part B deductible doesn’t apply. However, if your doctor or other health care provider performs additional tests or services during the same visit that aren’t covered under these preventive benefits, you may have to pay coinsurance, and the Part B deductible may apply, so it is important to note that a wellness visit does NOT address new or existing health problems. 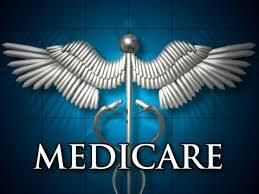 Medicare generally covers 100% of annual wellness visits and 80% of problem visits. If the doctor addresses problems during your wellness visit, you may be responsible for the remaining balance generated from that portion of the visit. You are welcome to schedule a separate visit to address additional problems. A separate charge is applied to these visits, whether provided on the same date or a different date than the wellness visit.